I try very hard to stay attentive to the “coincidences” in my life. I’ve come to believe that the people and things that cross my path on a regular basis are there for a reason. And my life has changed for the better since I’ve started to accept that there is a bigger purpose for all things–even the little ones. I can’t remember what blog or conversation sent me to purchase a copy of FAILING FORWARD: Turning Mistakes into Stepping Stones for Success by John C. Maxwell but it ended up on my Kindle. I also don’t know why I had the sudden urge to pull it out the other night and begin reading it, but WOW! It was exactly what I needed. A reminder that success is not a product of avoiding mistakes, it’s the ability to pick yourself up and use the experience to move forward. EVERYONE FAILS. THERE IS NOTHING SPECIAL ABOUT IT. EXTRAORDINARY IS WHAT HAPPENS AFTER FAILURE. Don’t forget how far you’ve come by picking yourself up and dusting yourself off. Think about your most epic failure that turned into something amazing. Define your biggest loss that turned out to be your silver lining. You all know mine–when I lost my dad I woke up and decided to stop failing myself. The most beautiful, bittersweet, epic moment ever. 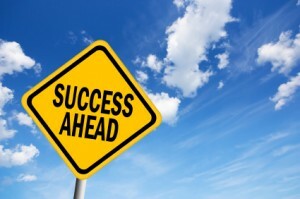 Success ahead…if you want it. And it’s never to late to turn it inside out.